ICV sent live webcasting crews to Chicago for our client Pack Expo. PACK EXPO International 2012 had 46,000 buyers from all over the world and more then 1,800 suppliers showcasing state-of-the art materials, machinery and methods for packaging and processing. Far and away the industry's premier event, PACK EXPO International comprises more than 1.1 million square feet of exhibit space. 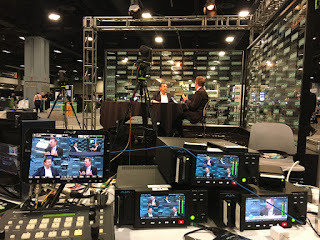 ICV was on the show floor providing HD Video Production Services and Live Webcasting services for 4 days at McCormick Place. 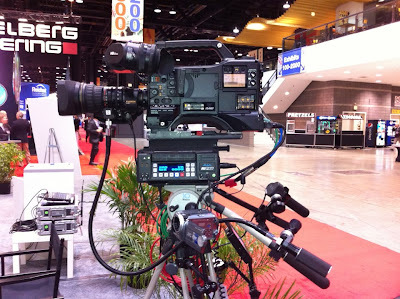 Our video flypacks were used for live switching, AjA Kipro recorders were used for digital disk recording.